Primarily working with conceptual photography, Egyptian artist Rana El Nemr captures urban stories that focus on ideas of space, identity, and the sense of belonging. She is also a co-founder of the Contemporary Image Collective (CIC), a platform for contemporary Egyptian art. El Nemr’s photographs record the rapid changes that middle-class Egyptians encounter in the megalopolis of Cairo. Her works convey the displacement and belonging that affect interactions between people and public space. 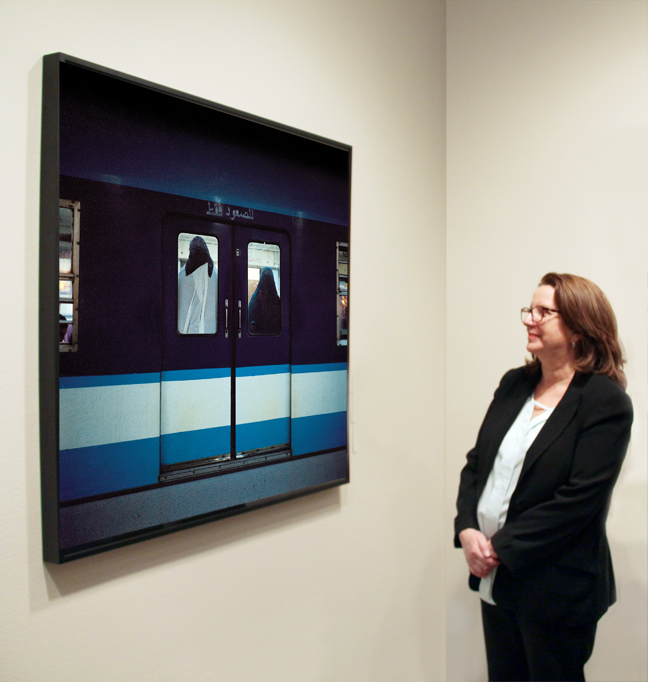 Metro (#7) depicts the backs of two subway riders through the blue-and-white exterior of the car. 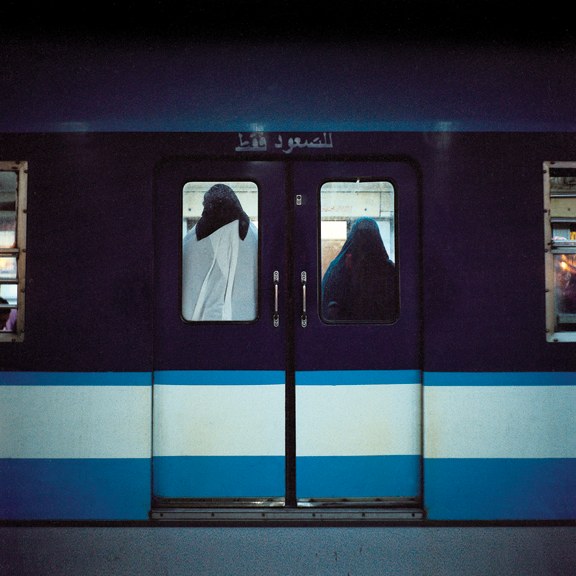 The pairing of their black and white abayas, each framed by a window of the closed doors, demonstrates the artist’s eye for asymmetrical compositions. This entry was posted in Artist Spotlight, NMWA Exhibitions and tagged Cairo, Rana El Nemr, she who tells a story, The Metro by Women in the arts. Bookmark the permalink.